It is with great honor that I award Mollie from "Art with Ms. K" the legendary 'Gold Star Award' for being an awesome co-presenter this past weekend at GAEA... and for being an amazing art teacher! The history of the 'Gold Star Award' is one of prestige and merit. 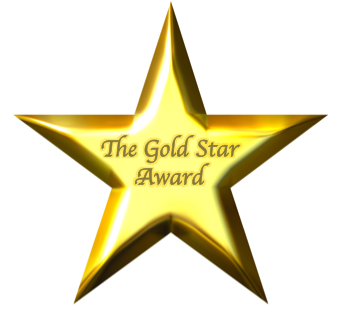 Dating back to October 15th, 2013, the 'Gold Star Award' has been passed down from art teacher to art teacher throughout its existence (which at this point is going on about 4 minutes)!